The Select Pro is all Traeger, The Original wood pellet grill with 6-in-1 versatility. With an attractive appearance grills, smokes, bakes, roasts, braises, and BBQs, running wood-fired circles around conventional grills—cooking up competition ‘cue in style. Updated with a bronze, logo-stamped lid, bronze hopper lid, and bronze smokestack cover, the Pro Series keeps everything good about the original Traeger grills, but adds all the amenities you have come to expect. 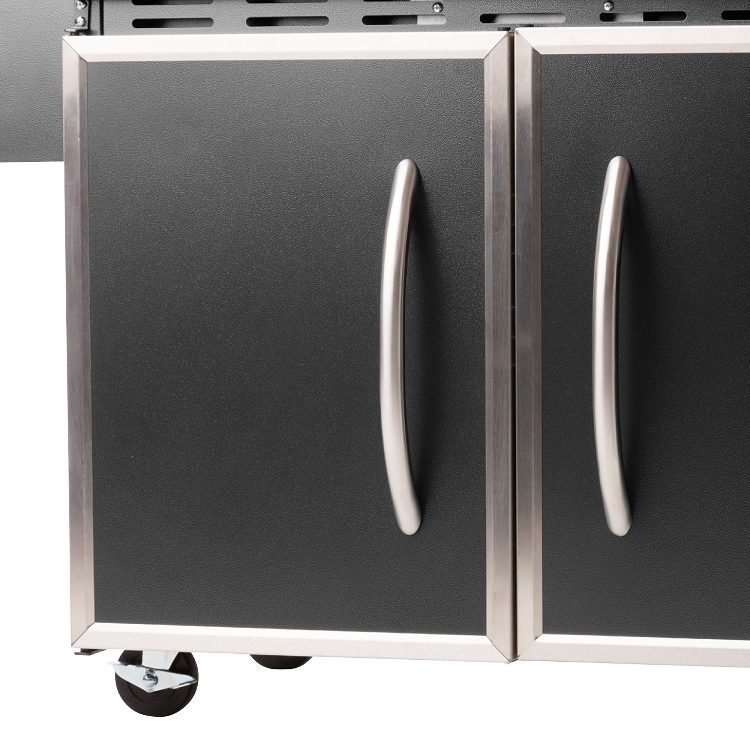 Featuring high quality stainless steel trim, convenient side tables and enclosed storage space, the Traeger Select Grill is where style meets functionality. 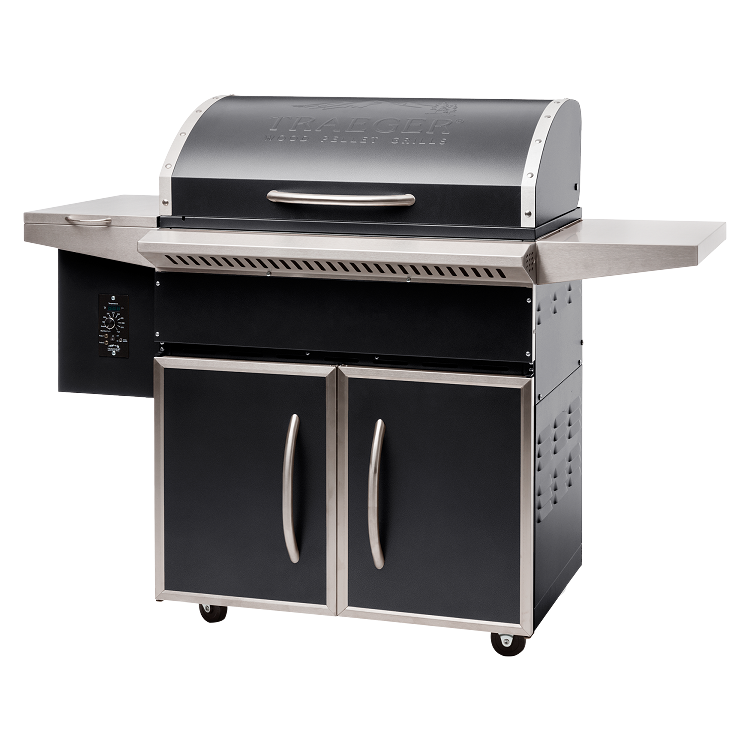 This grill is constructed of durable powder coated steel, and boasts 36,000 BTUs of cooking power. The 767 square inches of porcelain coated grilling surface produce excellent sear marks, while being easy to clean. 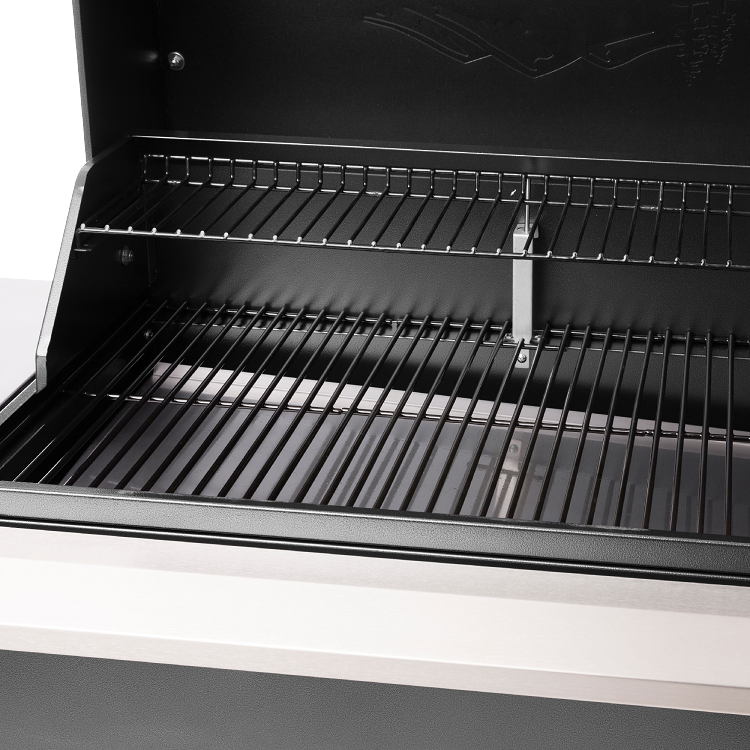 The new Pro Series adds a removable grill shelf to add another 30 inches of grill space over just the main grates, letting you cook a full meal all at one time. Also new to the Pro Series is a dual meat probe thermometer built in, to give you perfect temperature readings on two items at once. Lastly, the Pro Series adds a clean out to the hopper, allowing you to quickly change the smoke flavor of the pellets while grilling. The versatility of this pellet grill allows you to smoke at temperatures as low as 180 degrees and then crank it up to 450 degrees to sear to perfection. The natural airflow inside of the grill allows for convection cooking, so you can bake a pizza right on your grill and do not have to turn your meat, unless cooking with high temperatures or if you want even grill marks. 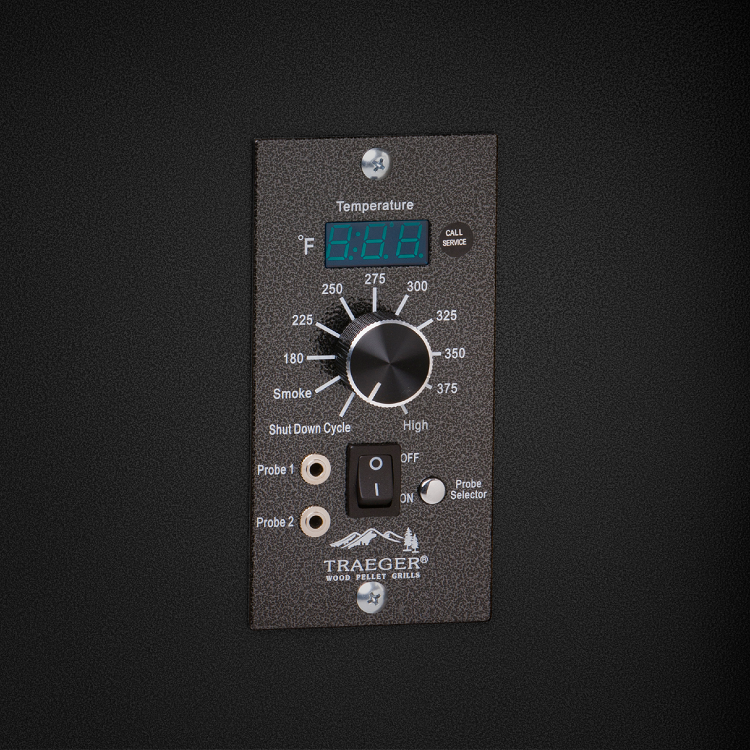 Traeger grills feature an auto-start system that is simple and safe to use. When you turn on the grill, the auger begins to feed pellets into the firepot while the draft induction fan feeds air into it. The igniter rod is activated and glows red hot for the first four minutes to ignite the pellets in the firepot. The temperature is controlled by a digital thermostat control which allows you to choose a specific temperature that will be maintained by automatically feeding pellets as needed. The temperature inside your grill is displayed the bright blue LED panel and is monitored by a resistance temperature detector probe. These cost-effective pellets burn at a rate of only 2 lbs per hour on high heat, 1 lb per hour on medium heat and only 1/2 lb per hour when smoking. This energy efficient grill runs off of a standard 110 volt outlet.